The Ann Arbor PTO Thrift Shop is located at 2280 S. Industrial Highway. The shop sells furniture, clothing, books, home goods, electronics, craft supplies and more. The Ann Arbor PTO Thrift Shop’s mission is to support the schools. And three times each year, its support comes in the form of a small but valuable slip of paper: a check. On Jan. 29 the shop distributed $50,020 total between all 33 of the Ann Arbor Public Schools (see comprehensive list below). The money supports enrichment opportunities for students in the form of field trips, sports clubs, academic supplies, camps and plenty more. The PTO Thrift Shop makes it easy for school groups, clubs and PTOs to earn money. They can simply advertise the shop at a school-sponsored event or in a school newsletter. They can also participate in weekly “Show Your Support” competitions, in which four groups compete for the favor of thrift shop customers. So the more a school participates, the higher its earning potential. A volunteer for each school “represents” the PTO, PTSO or Parent Council and helps coordinate its fundraising with the shop. 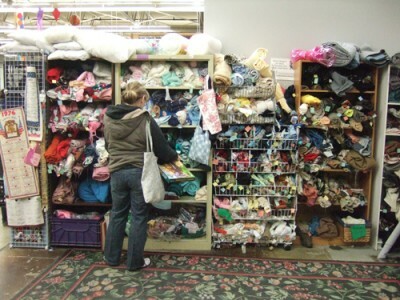 As chronicled last year in the AAPS News, the Ann Arbor PTO Thrift shop is a nearly million-dollar enterprise that donates its increasing profits to the district’s public schools. It’s recently celebrated even more success: it was given annarbor.com’s “Deal of the Year” award, jointly shared with the Ann Arbor Public Schools Educational Foundation, in the nonprofit category. 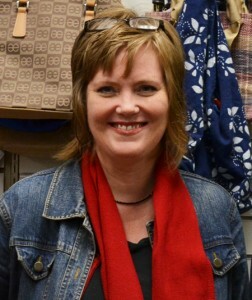 It also named its first Executive Director, Farnham, whose “promotional fundraising” has helped the shop grow.